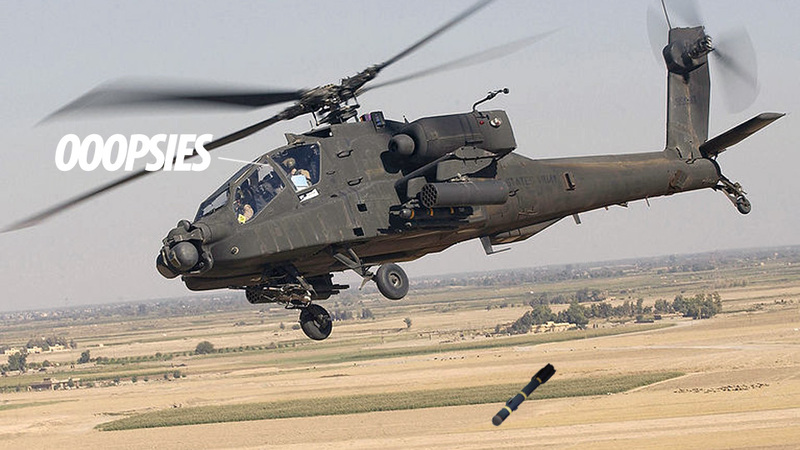 One hundred homes in Killeen, near Fort Hood, Texas, were evacuated last Tuesday night after a missile accidentally fell from an AH-64 Apache helicopter. The residents were able to return one hour later after the US Army found the projectile on the ground. The helicopter was doing a routine flight. People on the ground reported the object falling from the helicopter around 8pm, which immediately prompted the evacuation. The missile was later recovered by US Army personal, who found it partially sunk into the ground. Fortunately, it had neither explosives nor a propulsion system. A Fort Hood official assured the population that their aircraft never fly over populated areas with live munitions. The missile was most probably an AGM-115 Hellfire, a 45kg destructive beast that usually carries a highly explosive 9kg warhead.